5:30AM Little man is making noise. Way. Too. Early. Luckily he falls back asleep. 6:45AM Parker starts to stir so I jump out of bed to get a head start on him. I wake up super thirsty, curious as I did nothing but drink the day before. I skip to the kitchen and pull out all of my Day 2 drinks and line them up for a photo. 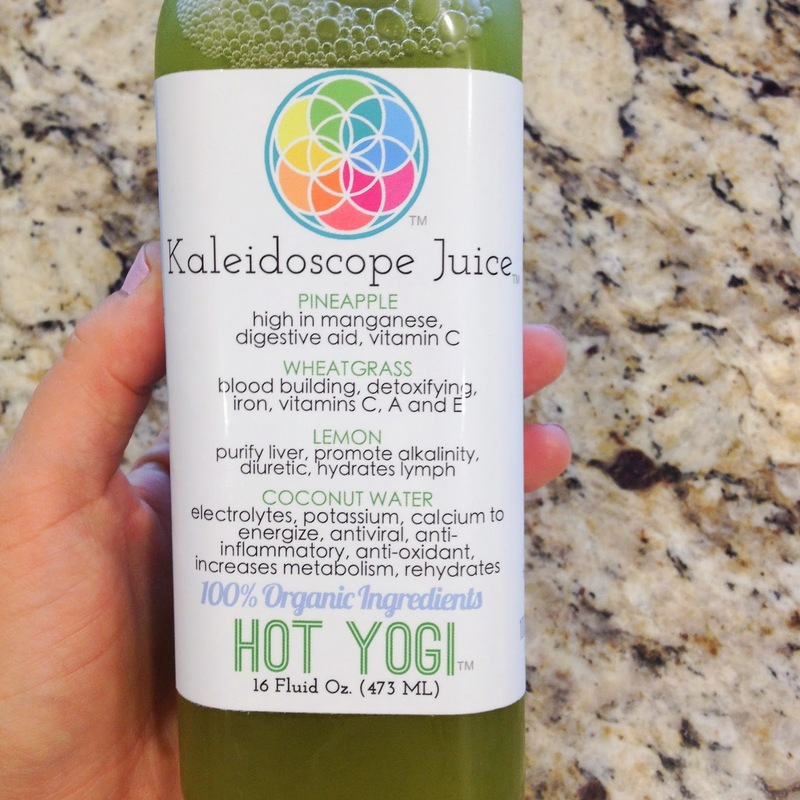 This is the day I have my friend juicing with me, and I'm so excited! Plus, it's a much easier lineup of juices today. 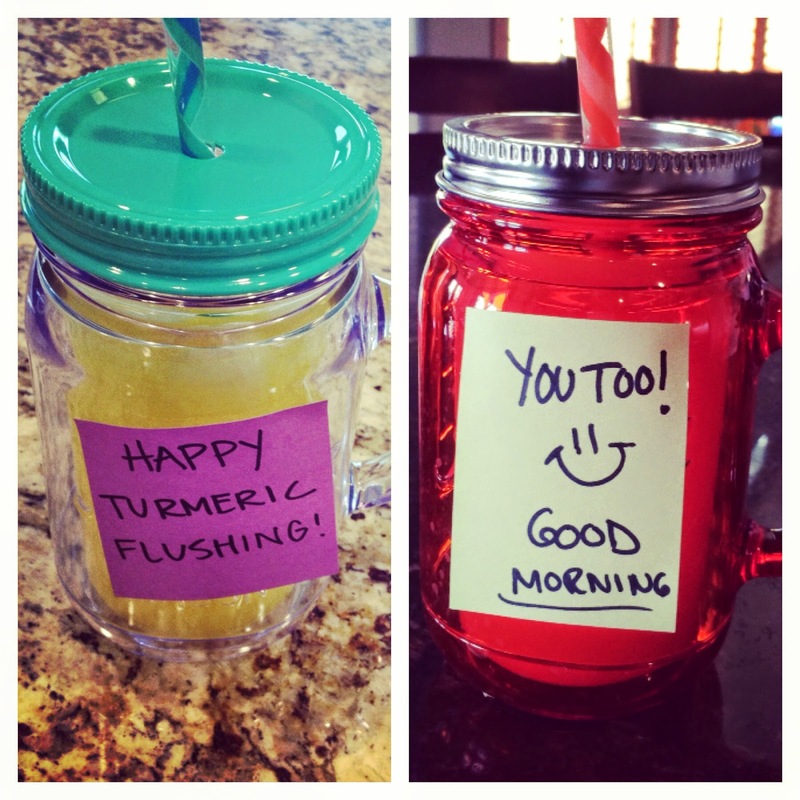 I snap a photo of my Turmeric Flush (diluted once again) to send to my buddy, and get one back from her! I think in my head that we are too cute. 7:00AM I greet Baby Boy. One of the best parts of the day is walking in to get him in the morning! I love snuggling and reading in his nursery. 8:00AM I open the Keri - yum! 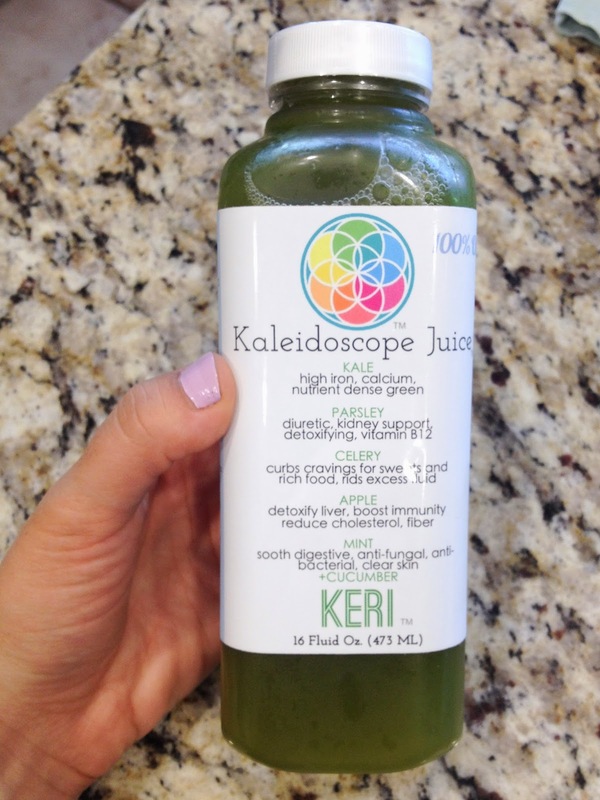 The overall taste is more apple, compared to a celery taste from the greens the day before. 8:30AM It's a bit of a difficult morning for mamma and Parker. Parker starts acting cranky even before breakfast, so I put him down to nap after he eats, but big guy will not fall asleep. We spend the better part of two hours alternating between him standing and crying in his crib, me getting him out and trying to read or play and deciding he's way too tired and cranky to be awake, putting him back in his crib and starting all over again. Aye! Somewhere around 10am I get a phone call informing me we have a house showing at noon. Super. 10:30 I spend the next hour and a half making the house "show ready", while watching after Parker who is doing the exact opposite. Luckily I have my Metabolic Love to keep me going. Y'all, I wanted to sip this one and savor every bit! I looooove me some fresh squeezed grapefruit juice, and this was just that, with just the slightest kick of an aftertaste from the cayenne. 12:00 Littlest man is fed, the house is clean, and I've even finished the Turmeric Flush, so we head to Safeway while prospective buyers tour the house. 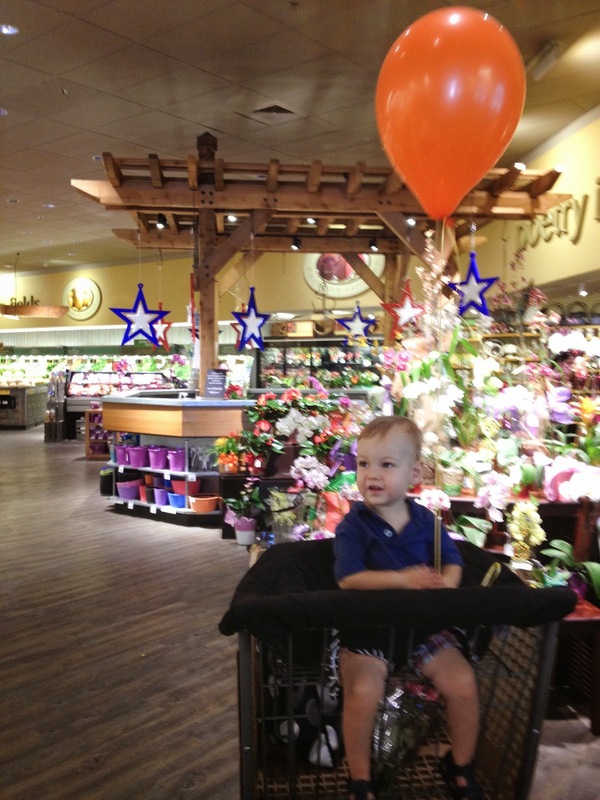 Parker's spirits are instantly lifted when we pick up a 99 cent balloon. 1:00 I open my Hot Yogi- delicious. 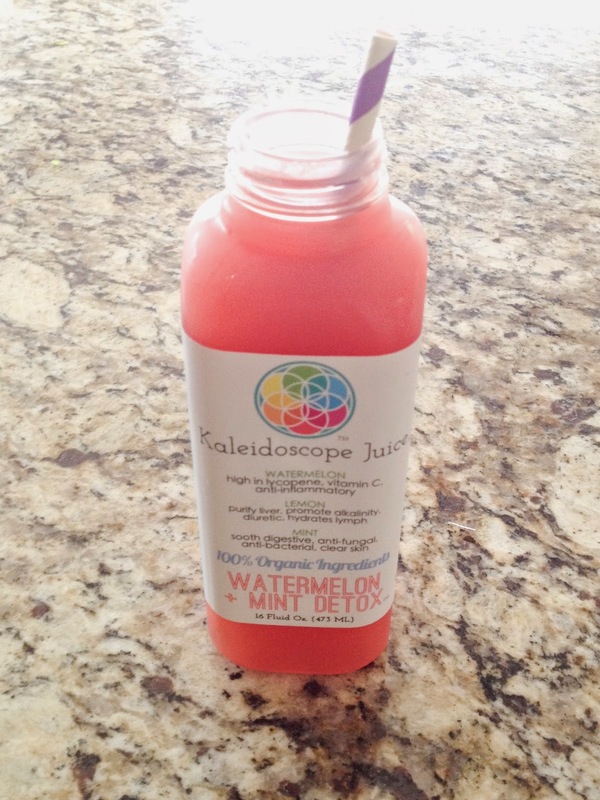 I was actually skeptical about this one as there is wheatgrass in it, but somehow Kaleidoscope made it work! Yum! I sip while Parker and I read and play. 3:00PM Parker is finally asleep! I enjoy my Watermelon Flush, my only repeat drink from the day before. It's even yummier the second day. Not sure if this is because I'm hungrier, or because my taste buds are adapting? 5:00PM Little man is up from his nap. We play until dinnertime. It's my last and final drink of the fast, the Dusti Beet. 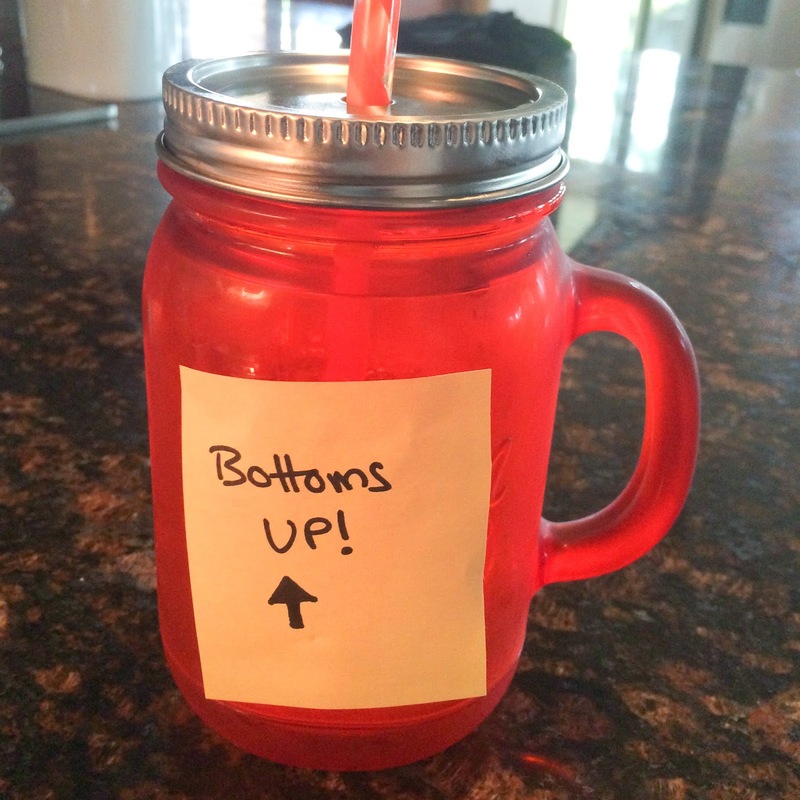 I get this photo from my friend, what a great idea to juice cleanse together! 7:00PM Parker and I go for a neighborhood walk since the temperature isn't too hot (the monsoon is still looming so it's cloudy and humid and we take total advantage). 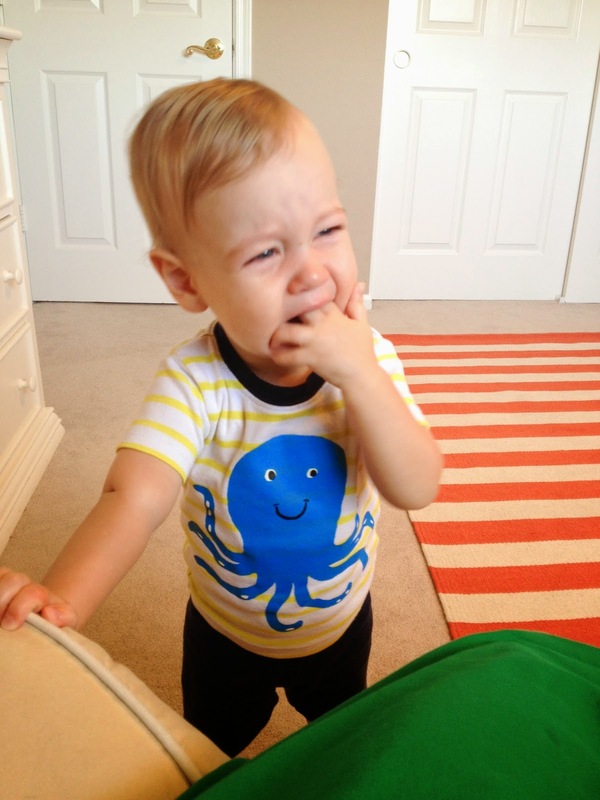 My tummy grumbles and by the time I put him down for the night, I'm actually a bit hungry. I could open my Strawberry Warrior Mylk (the bonus drink I sipped on the night before) but I decide I'm just done and sip on some water instead! 9:30PM I am down for the night early! I have a wicked headache though. I realize I probably haven't had enough water over the past couple days (it's recommended to sip tons, but I didn't think it was necessary with all the liquid, I guess I was wrong!). I make a mental note to drink plenty of water the next time I juice cleanse. That's right, I wasn't scared off!! And when I wake up the next morning, I feel light and lean and my skin is positively glowing! 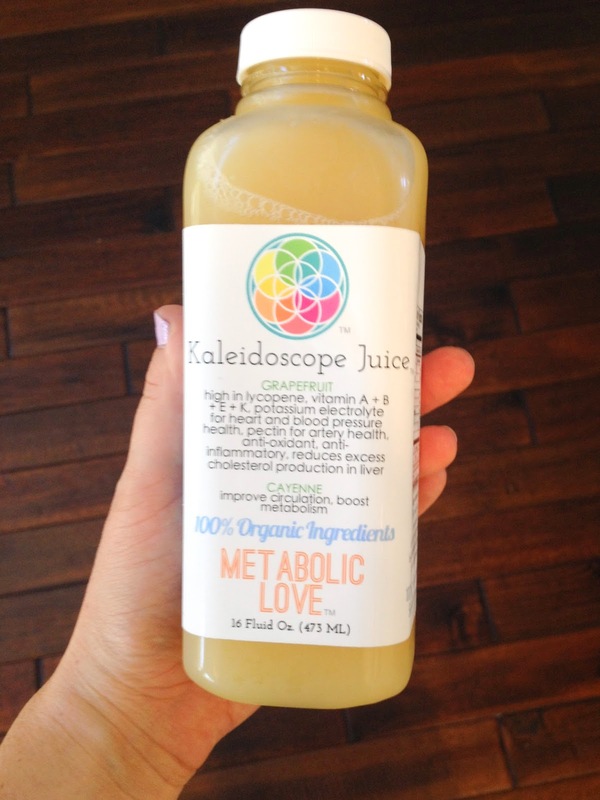 Juice cleanse, you rock! Since then, the biggest change I've noticed from doing the cleanse is that it's reset my diet and my palette. I totally recommend doing one! Oh my gosh, you're amazing! 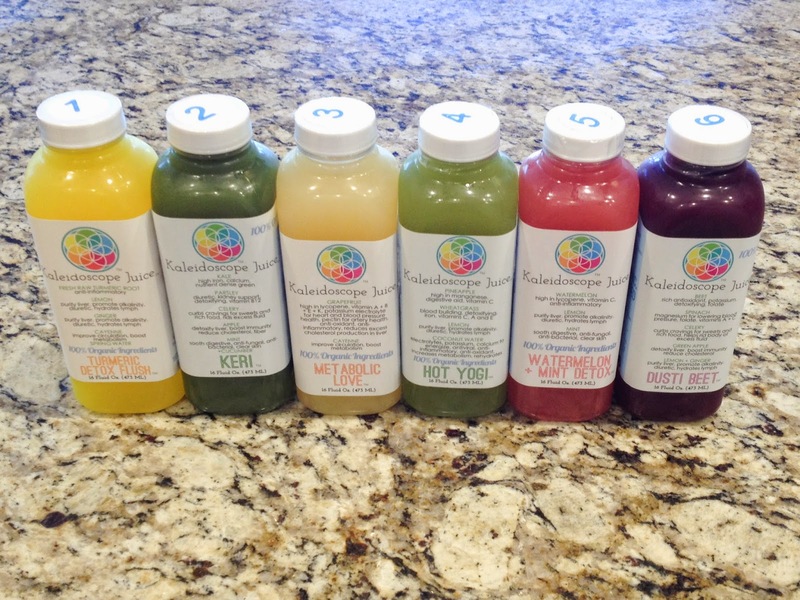 I am so interested in trying a juice cleanse but I don't know if I have the self control to complete one! Courtney, thanks! You are so sweet! It's totally doable, especially if you start with just a one-day. I highly recommend!! Okay Amanda, I am now thinking of doing a juice cleanse afterI finish finals!! You have inspired me! My skin could use a boost and I need to reset after all these sweets from exam period.